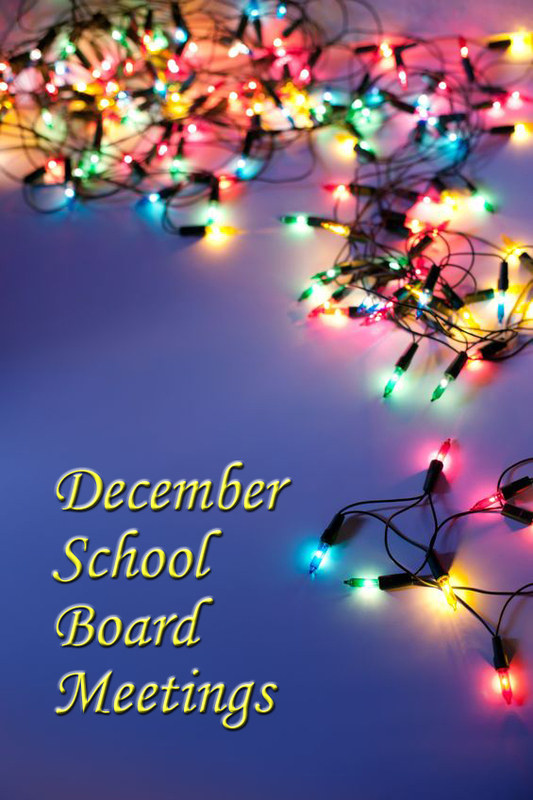 The Kansas State Board of Education and 19 local school boards met during the second week of December. Heard a report about how the state sets academic standards for student standardized tests. Classes and activities that provide physical activity (e.g., marching band, ROTC, cheerleading, school and community sports) have important but distinctly different goals than physical education. Any opportunity for students to participate in sustained periods of meaningful physical activity can be valuable for their health and fitness, but these activities do not provide the content of a comprehensive, standards-based physical education program and thus should not be allowed to fulfill a physical education requirement. Today … health and PE, though not considered core, are still required by states and/or districts for graduation. Simultaneously, high school core credit requirements for graduation have increased across the country. As a result, students often must cut back on elective courses to just one or two per year, which does not leave much room for fitting in JROTC. But, by carefully ensuring all PE and health curricula outcomes link to National Health and National Association for Sports and Physical Education standards, more and more states and districts may continue to permit, or consider allowing substitution of PE and health requirements through JROTC. Heard a status report on the Teaching in Kansas Commission II, which formed last summer to satisfy a requirement of the state’s waiver of the requirements of the No Child Left Behind Act. In order to receive the waiver, states promised “to develop and adopt guidelines for teacher and principal evaluation systems which include student growth as a significant factor.” The new commission is responsible for defining and tracking student academic growth. Received a monthly update on Kansas’ participation in development of the new national Next Generation Science Standards. Considered adopting an official definition of the phrase “college and career ready.” Kansas has adopted the new national Common Core Standards, which include an emphasis on college and career readiness. Heard a report on teaching cursive handwriting in elementary schools. Considered refinancing $9.3 million in existing school bond debt to save about half a million dollars for the district. Heard an update on Schools for Fair Funding, Inc. This not-for-profit corporation is suing the state of Kansas in one lawsuit and defending against the state in another. Turner is one of 54 districts belonging to this corporation. Other Kansas City-metropolitan area members include the Basehor-Linwood, Gardner-Edgerton and Kansas City, Kansas, school districts. The judge hearing the case is supposed to announce a decision sometime after the New Year. Received information on upcoming school board elections. The filing deadline is Tuesday, Jan. 22, for district residents wishing to run for three open seats. If a primary election is required, it will take place Tuesday, Feb. 26, and the general election will be Tuesday, April 2. Received information on district voting boundaries, which will be readjusted for this election. Approved a resolution authorizing the refinancing of existing school bond debt in order to save money for the district. Received a report on district’s annual fiscal audit. Received an update on construction at De Soto High School being funded by the sale of school bond debt approved by voters. Discussed how the state’s new waiver of requirements of the No Child Left Behind Act will affect the district. All school districts throughout the nation continue to struggle with the lack of school funding based on the dismal state of our country’s financial landscape. Unfortunately, on December 3, 2012, the district was notified by the Kansas State Department of Education that the federal government reduced all state allocations. They calculated the costs, and it was designated that De Soto would experience a large decrease of Title One federal funding based on the fact that we received a large increase of these funds last year. Across the state of Kansas, Maize, Salina, and De Soto experienced the largest decrease. Heard a report on planning for the full-day kindergarten pilot program, which is scheduled for the 2013-2014 school year. Received a report on the district’s annual fiscal audit. Reviewed progress on projects funded by school bond debt approved by voters. Heard an update on efforts to track students’ progress toward on-time graduation. Gateway to College is a national model to address the needs of students who are older and struggling to remain engaged in school. It can also serve students who have already dropped out of high school. The collaboration with Donnelly has been approved by the Gateway to College network. In addition we are planning with Donnelly to create an alternative site for our older students who need ESL instruction. Both programs would allow students who are older but credit deficient to attend classes in a more mature setting on the Donnelly campus, earn credits toward high school graduation and transition to obtaining college credit as well. A qualified opinion was issued on the financial statements due to the timing of the final June state aide payment. We are pleased to report that no material weaknesses or concerns were reported. II. Ensure that At-risk funding continues to be based on poverty. III. Ensure that any increase in the Local Option budget is equalized at 100% without proration. IV. The legislature should reinstate payments for the state portion of Capitol Outlay expenditures (equalization). V. Ensure that any response to the current fiscal crisis does not negatively affect the solvency of the KPERS system. VI. The Kansas Legislature should not continue solving its budget shortfalls by taking revenues belonging to or promised to local units of government. Taking established revenues away from local governments to balance the state budget only shifts the financial burden to local elected officials and the citizens they represent. Specifically, changes in state tax policy should not occur at the expense of local governments by shifting responsibilities and fiscal obligations from the State to Cities and Counties or to K-12 education. Considered the possibility of selling the Parker Elementary building, which has been sitting vacant for more than two decades. Heard a presentation regarding a draft of the district’s annual fiscal audit statement. Received forms and information required to conduct the superintendent’s annual evaluation. Considered refinancing school bond debt in order to save money for the district. Taking advantage of historically low bond interest rates, the Spring Hill School District Board of Education moved forward with its financial advisor to evaluate the long-term debt structure. By refinancing just under $10 million of outstanding bonds from 2005, the interest rate percentage was reduced by more than 2%. This is not the first time that the district has taken advantage of low interest rates to save money. In fact, the school district has refinanced three different bond series in the last 16 months and saved nearly $2 million. Received the district’s annual fiscal audit report, which identified no material weaknesses or significant deficiencies. Considered adopting a student publication policy. Heard an update on construction projects funded by the sale of $7.8 million in school bond debt previously approved by voters. Received an update on filing information for district residents planning to run for a school board seat in next April’s general election. The Budget Control Act of 2011 will impose across-the-board cuts of approximately 8.2% to education and other domestic programs in FY2013 through a process called sequestration unless Congress intervenes. Considered refinancing some existing school bond debt in order to save money for the district. Considered passing a resolution regarding sequestration. Heard an update on projects funded by school bond debt previously approved by voters. Unanimously approved a motion to accept the district’s annual fiscal audit report, which identified no material weaknesses or significant deficiencies. Unanimously approved a resolution calling for an election on April 2, 2013. On that date, district voters will select two board members for three-year terms and one for a one-year term. The … numbers estimate that by the 2015-16 school year, our district attendance will surpass the 20,000 mark. To that point, as our student numbers increase, the district experiences proportionate decreases in our overall capacity to support our students. This data suggests that we will have 13 elementary schools exceed capacity within the next five years. As in previous years, our middle school group is slated to experience the least amount of growth, but maintains enrollment exceeding instructional capacity at all locations. Our high schools will experience consistent steady growth over the next five years; a first since 2009-10. Considered asking voters to approve the sale of additional school bond debt. If approved, the vote would take place during the April 2014 general election. 1. Finding: First Student was not utilizing one of DESE’s three accepted methodologies for calculating total bus route miles. The school district has already taken corrective action on this item, and is requiring First Student to adopt one of the three methods as described within the current DESE Transportation Manual. Remedy: First Student has responded and is currently utilizing an approved DESE method. 2. Finding: The district had not conducted a formal fraud risk assessment nor had it prepared adequate documentation of internal controls per the Statement on Auditing Standards (SAS) No. 115, Communicating Internal Control Related Matters Identified in an Audit. This requirement, in effect since December, 2009, had not been communicated to the school district by previous auditors nor had it been listed as a significant weakness within the audits since that time. Remedy: The school district has submitted an Request For Proposal (RFP) for a qualified accounting/auditing firm to conduct a risk assessment that complies with SAS 115. It is anticipated that this assessment will be conducted in January, 2013. Formalized documentation of controls will be prepared and communicated to staff after the risk assessment is complete. 3. Finding: The district lacked an official policy citing the Governmental Account Standard Board (GASB) pronouncement 54, Fund Balance Reporting and Governmental Fund Type Definitions. Within final budget approval, the Board does identify staff and board members who have authority to identify fund balance types, and the school district was in compliance with this GASB pronouncement, but the district lacked reference to the guidelines within Board policy. Remedy: The Board will be asked to revise Board Policy DI-Fiscal Accounting and Reporting-Accounting System to include a statement that affirms the Board’s expectation that district staff continue to comply with this requirement. Voted unanimously to refinance almost $14 million in existing school bond debt to save about $45,000 for the district. Voted unanimously to approve the district’s 2013 legislative position statements. Heard a report on efforts to align the district’s language arts and math curriculum with the new national Common Core Standards, which the state of Missouri has adopted. Proposition 1. To choose by ballot two directors who shall serve as members of the Board of Education of said school district for a term of three years each. Received information on the Cooperating School Districts of Greater Kansas City 2013 legislative platform. Heard a report from the firm the district has hired to assist in the search for a new superintendent. Heard a report on district enrollment trends.